My sister-in-law flew in from Seattle for her wedding shower (yay!) and popped over for dinner. 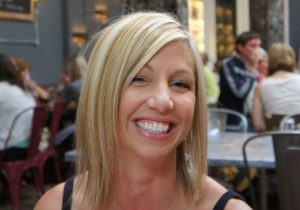 Melissa is a personal trainer, nutrition major, vegetarian and blogger (hungryvegetarians). Mike asked me to make dahl. I said, “With what”? He said, “Whatever you usually make it with”. I said, “chicken”. That won’t work. I needed to come up with some ideas that will make this a proper vegetarian Indian meal! The best Indian meal I ever had was in, you guessed it, England. I was fairly new to Indian cuisine when I visited London and fascinated by the orchestra of new flavors. I wanted to present a table of several dishes like you would find at a good Indian restaurant; I managed to make five. I wanted to make more, but I just couldn’t swing it. 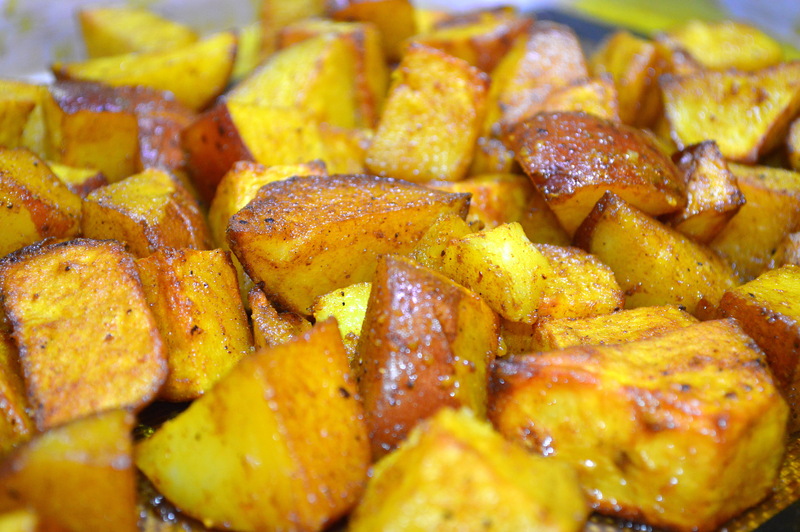 Hali Aloo is a dish of turmeric roasted potatoes. Research has shown that turmeric blocks tumor growth, stabilizes colorectal cancer when other treatments aren’t working, protects against colitis, stomach ulcers and high cholesterol. Turmeric may help with diabetes and depression as well as certain types of cancer, including prostate, breast, skin and colon. Studies show turmeric may help with neurodegenerative conditions such as Alzheimer disease, Parkinson’s and multiple sclerosis. <br /> Preheat oven to 400°. Wash and peel 5-6 large potatoes. 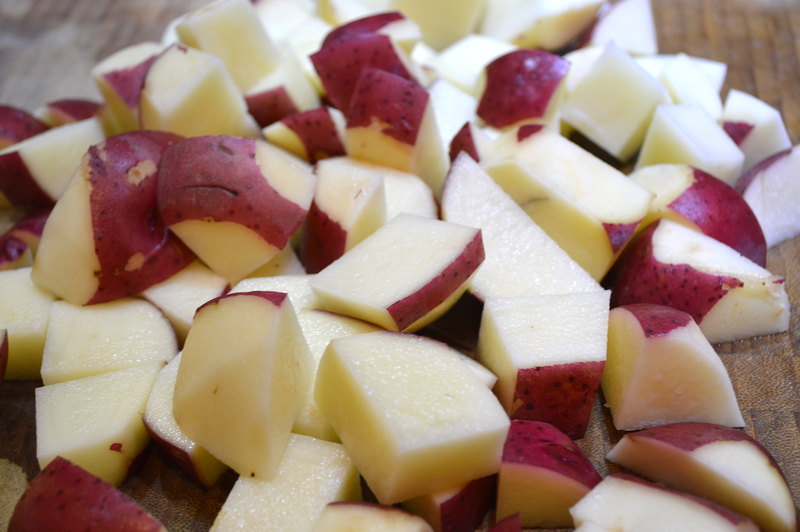 Remove any bad spots and chop potatoes into 1 inch pieces. Combine 3 Tbsp olive, grape seed or avocado oil, 1 tsp turmeric powder, 1/2 tsp garam masala, 2 tsp coarse salt and 1 tsp freshly ground pepper. 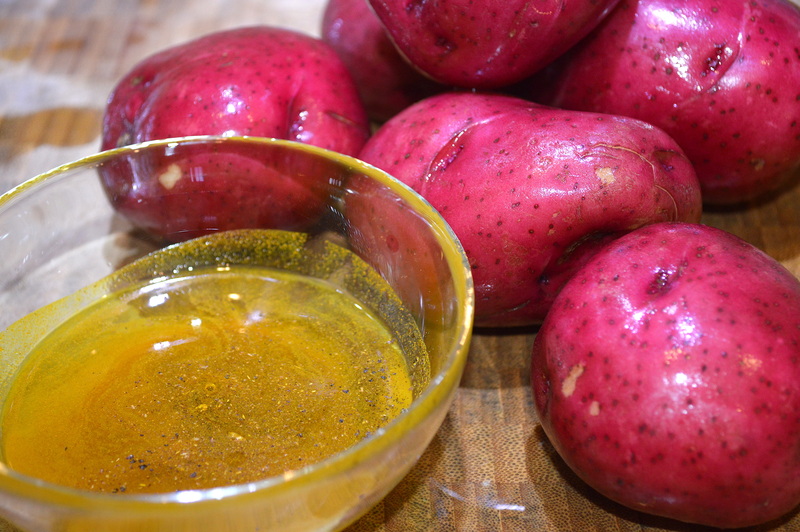 Mix chopped potatoes and turmeric mixture in a medium-sized bowl and spread over a baking sheet in a single layer. Roast 40 minutes or until crispy on edges and golden brown. Curry is a mix of spices including turmeric and cumin. The International Research Journal of Pharmacy reports that cumin (Cumin cyminum L.) possesses probable therapeutic benefits because of its antioxidants, anti-inflammatory properties, anti-diabetic potential and cancer-fighting effects. <br /> When I cook for guests, I sometimes cook too much; I feel like an inadequate hostess if I run out of food, so feel free to halve this recipe. I started with 2 heads of cauliflower. Preheat oven to 400°. 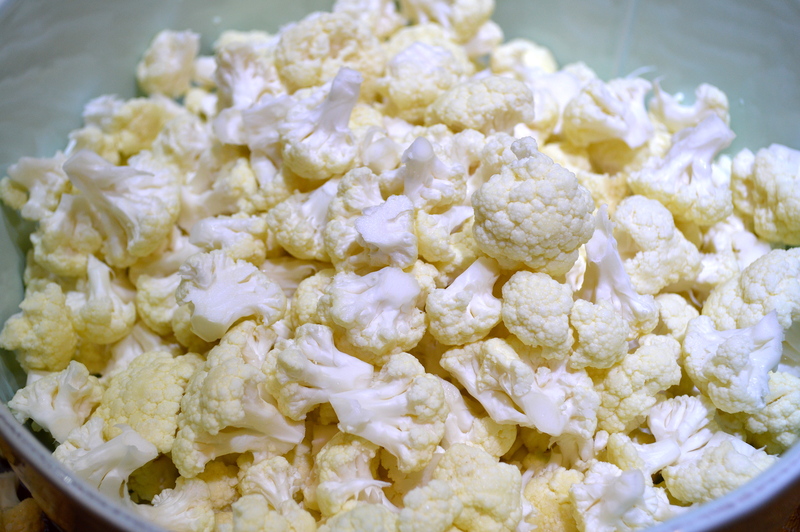 Wash, drain and pat cauliflower dry. 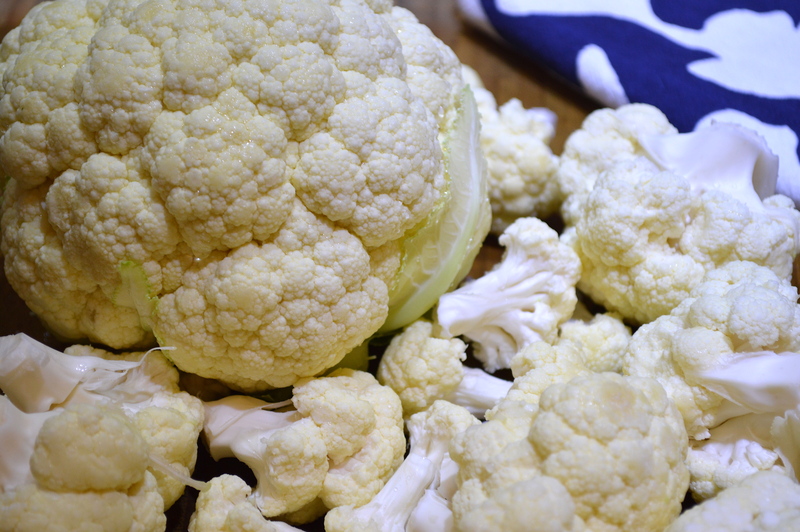 Chop cauliflower into florets, place in large bowl and set aside. 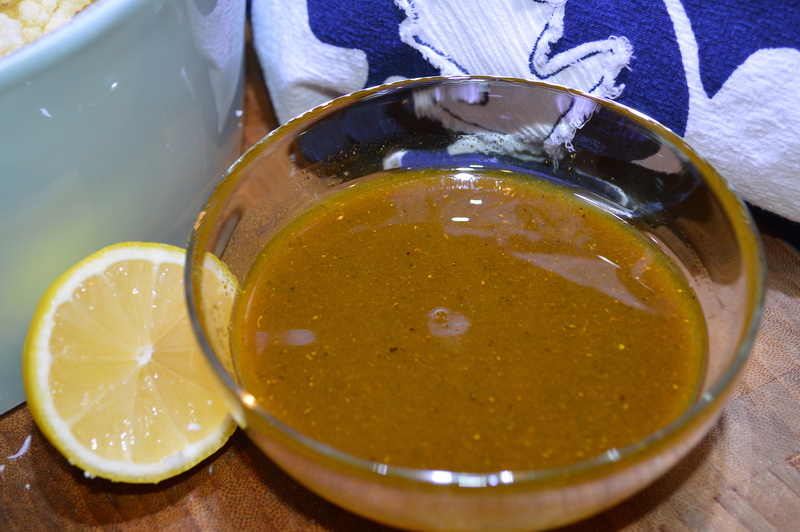 Combine 1/2 cup olive oil, 4 tsp curry, 4 tsp sugar, 2 tsp freshly squeezed lemon juice, 1 tsp salt, 1/2 tsp pepper. <br /> Pour oil mixture over florets. Toss to coat. 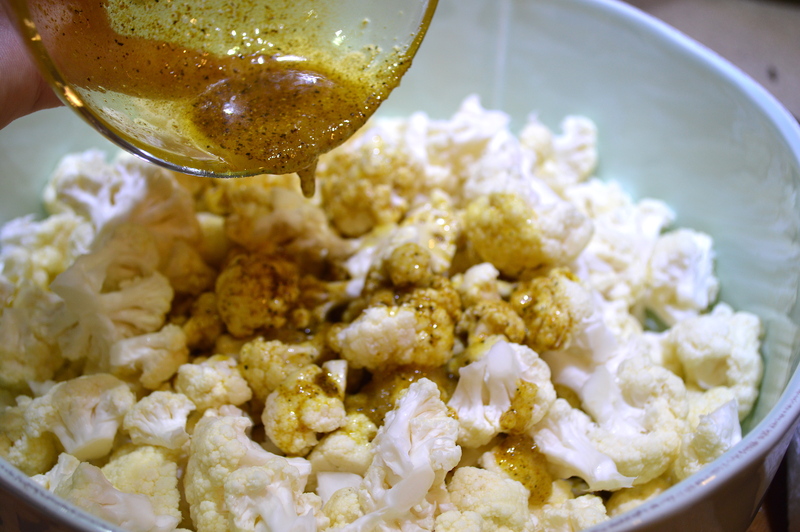 Spread seasoned florets evenly onto a large baking sheet. Roast 20-25 minutes until tender and browned. These recipes can easily be prepared for the same meal, as both are roasted at the same temperature. 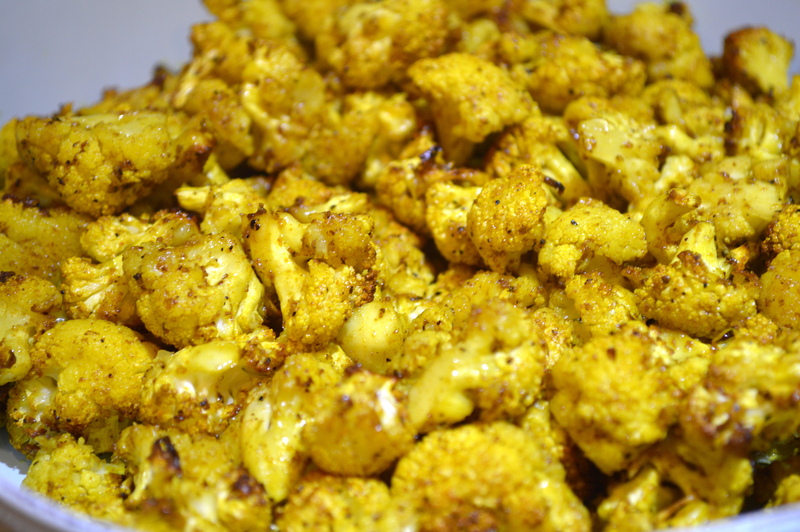 Once potatoes are in the oven, prepare cauliflower, then add to oven after 20 minutes. Both dishes will be ready to serve around the same time. These dishes are rather flavor intense and I wanted to mix in something cool so, I made a traditional Indian Raita recipe I found on epicurious.com. 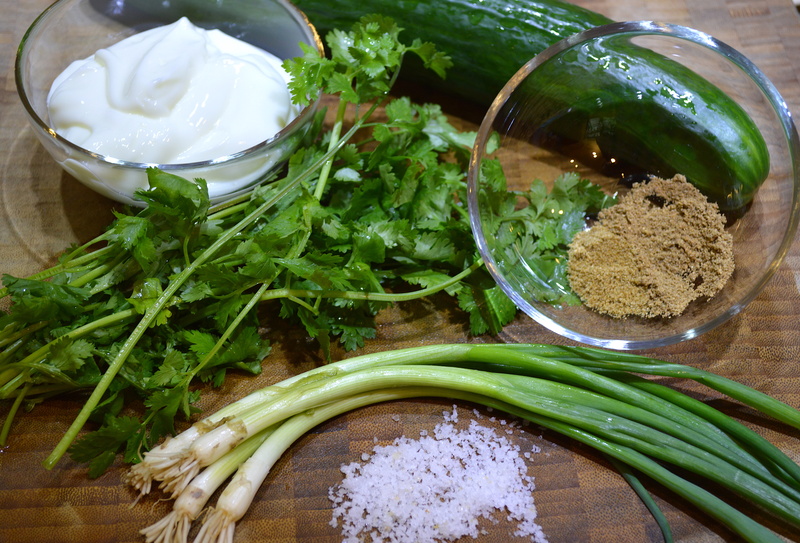 You’ll need 1 English Hothouse cucumber, cilantro, green onions, plain, fat-free yogurt, ground cumin, coriander and coarse salt. Wash, seed and chop cucumber. Chop 2 Tbsp fresh cilantro and 2 tsp green onions. 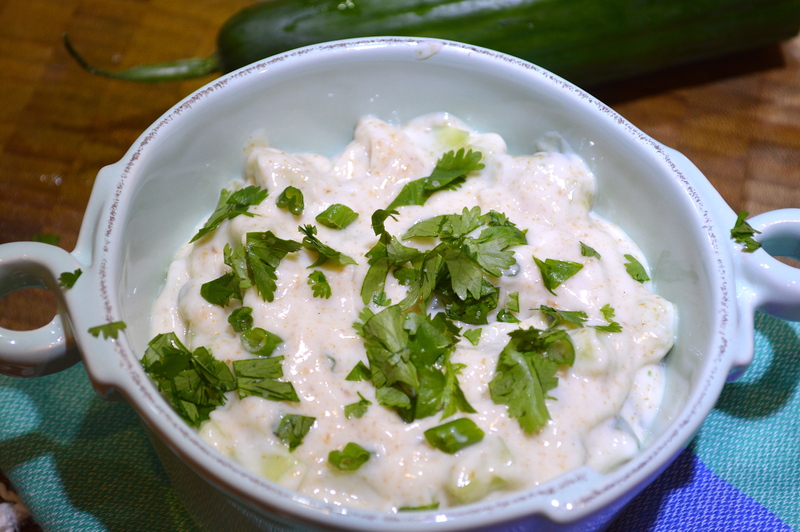 Measure 1/2 cup yogurt, 1/4 tsp ground cumin, 1/4 tsp ground coriander and 1/4 tsp coarse salt. 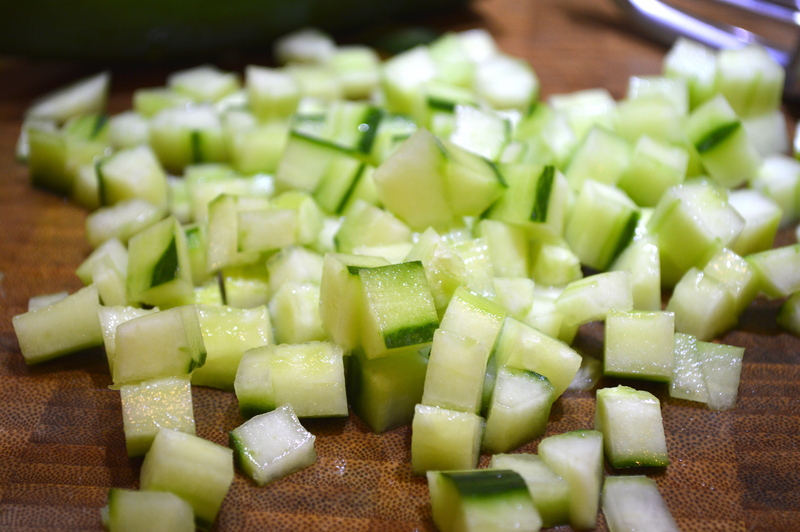 <br /> <br /> <br /> Mix all ingredients, including cucumber into a small bowl. Season with added salt to taste. Cover and chill until ready to serve. <br /> <br /> <br /> <br /> <span data-mce-type=”bookmark” id=”mce_SELREST_end” data-mce-style=”overflow:hidden;line-height:0″ style=”overflow: hidden; line-height: 0;”></span><span data-mce-type=”bookmark” id=”mce_SELREST_end” data-mce-style=”overflow:hidden;line-height:0″ style=”overflow: hidden; line-height: 0;”></span><br /> This can easily be made ahead, as can the hummus. I served these dishes with dahl, homemade hummus and warm garlic Naan bread. This would be a spectacular meal to me! I rarely “need” meat. Not against it, just don’t crave it. At Thanksgiving my plate is all about the side dishes! I feel the same way! As long as I have a good variety of flavors, I don’t need meat at all!